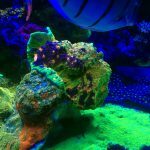 Home / Corals / Why are chalices the rage? The Chalices (Echinophyllia aspera) and similar have recently become the rage in the hobby. 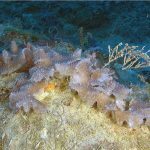 Prices have soared on this once rarely collected species as the brightly colored specimens became available from the Great Barrier Reef and Indonesia. 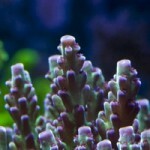 These very same corals were rarely collected years ago as the hobby did not create much of a demand. 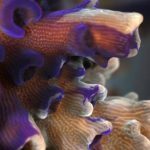 These same corals were once sold as bread and butter pieces or fillers on freshly imported shipments. Now the demand is high and so is the price tag on this species. Brightly colored specimens with known lineage and good survivability can be found selling for $200.00 or more per fragment or well over $1000.00 for a colony. The Miami Hurricane (Echinophyllia aspera) in the image is a old school colony grown from a seed fragment acquired from Atlantis Aquarium in CA. 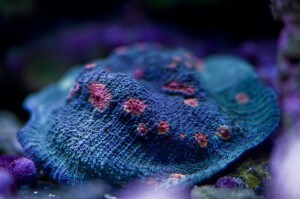 This particular coral has great survivability and retains color in a variety of aquarium types. 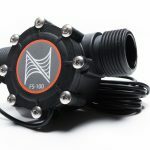 Moderate light and gentile flow while maintaining good water quality is key.